Your kitchen’s look should reflect you and your personal style. Thankfully, there are numerous ways that your builder can customize today’s design trends to suit your own tastes and styles. Who says your cabinets have to have a uniform color? Think about a washed wood look for drawers and colored cabinet doors to combine both modern and classic looks. The key is to make sure they complement each other and the other colors in your kitchen. 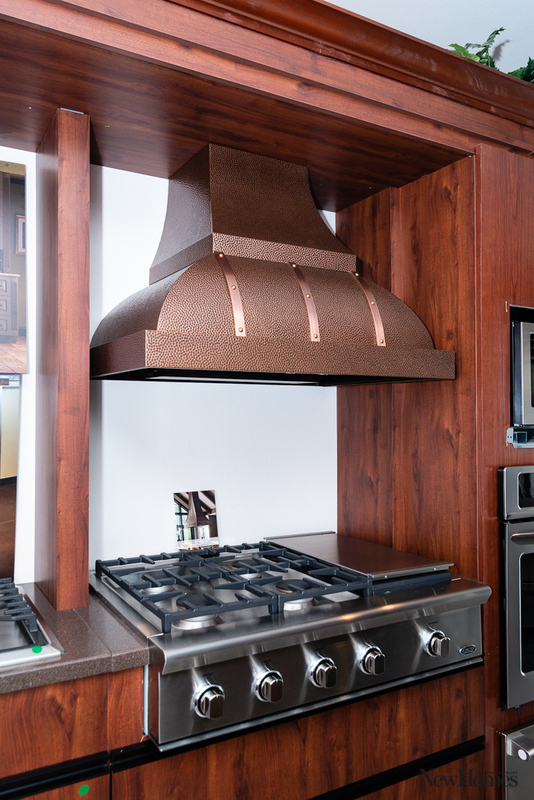 Nothing stands out in a kitchen quite like a range hood featuring sheets of copper with straps and rivets to match. If your new kitchen has limited cabinetry on the top, this element could provide the height and accent you need in a room that’s open. Skip the classic two or three door design. Instead, choose a fridge with four doors. Behind each is a separate compartment where you can adjust the temperature according to the chilling needs of the food inside. Another way to save energy! 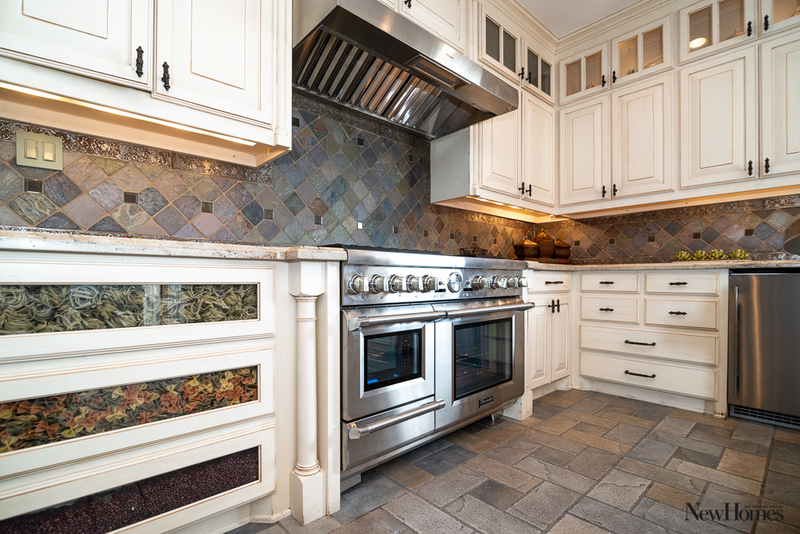 While stainless steel is still a hot look, it can be overwhelming and stark if your kitchen is small. 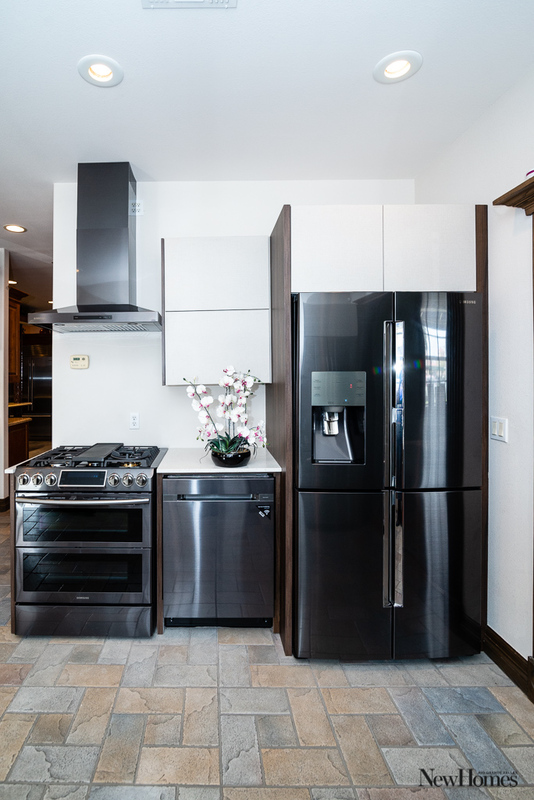 The latest trend is black stainless steel, accented with copper, gold, or rose gold handles or knobs. This look can add sophistication and surprising warmth to the room. If your cabinets and walls are light, a dark colored floor will provide a solid contrast. 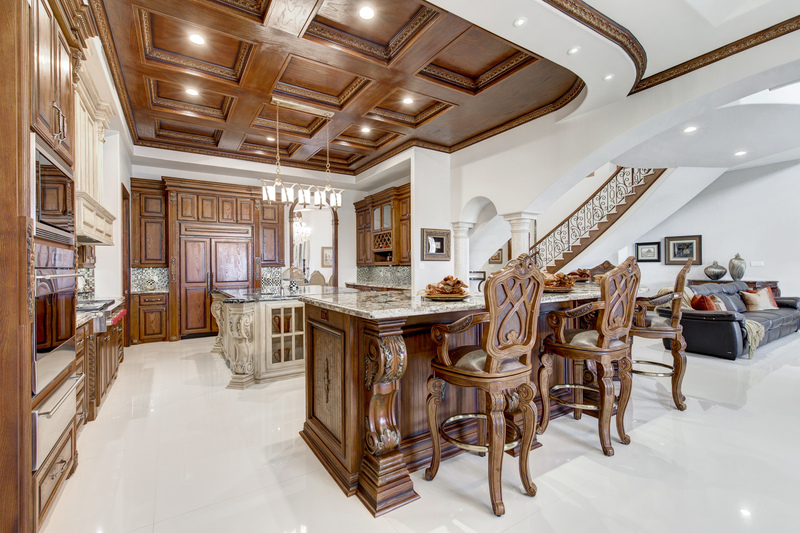 Think of walnut or ebony woods against whitewashed cabinetry. While choosing the style of your appliances is one thing, technology is also making a big impact on what these kitchen elements look like. Energy conservation is a big trend, but so is convenience and functionality. If you don’t like the look of your toaster or coffee maker on the counter but you also don’t want to have to pull them out each morning, consider designing your kitchen with an appliance garage. This dedicated cabinet space usually has a door that swings open just like garage door to give you easy access – and a way to hide the clutter when guests come over. Sync up your smartphone and stove with an LCD digital interface. The newer models are large and allow you to import recipes, dial in temperatures, and set timing. Why open the entire fridge just to grab a soda? New fridges are designed with smaller doors so you can access just the part of the fridge that you need. This is super convenient for reaching regularly used items. These fridges also have features like glass-front panels so you can peer inside to make grocery lists without opening the doors at all, which saves even more power. You use a lot of hot water in the kitchen. Save energy by asking your builder to install a hybrid water header that combines on-demand tankless heater technology with a hot water storage tank. These appliances are both convenient and cheaper to run. If Top Chef and cooking shows inspire you, you might want a professional-quality range with big grated burner plates, gas jets, sturdier knobs, and precise heating elements. While the size is the same, some new dishwashing models feature more tub space and room for three racks of dishes, as well as high-tech water jets for more efficient cleaning. A green home is one that is intended to have as little impact on the environment as possible. These environmentally friendly homes are built with materials that were chosen because they come from sustainable sources, can be easily reused or recycled, and require less input of toxic ingredients to make. 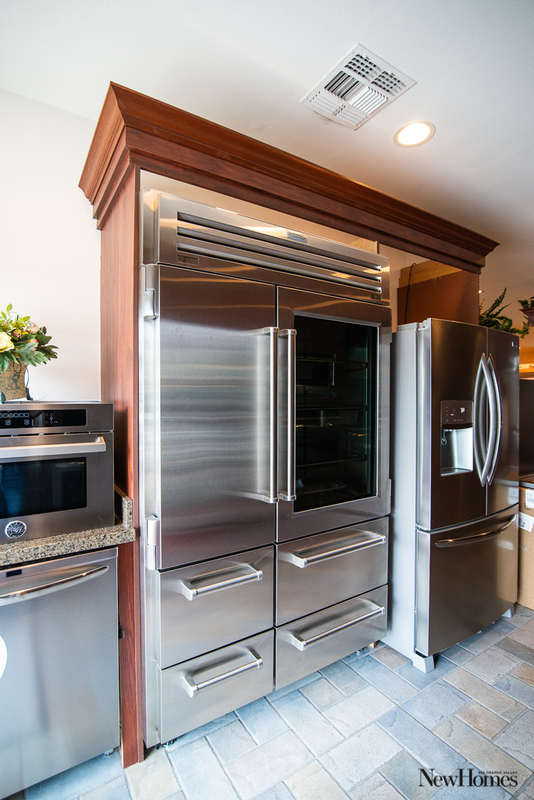 For more information on the appliances in this article, call (956) 225-0035, or visit Morrison Supply Company’s showroom located at 5401 N 10th St., Suite 101, in McAllen, Texas. The showroom is open from Monday to Friday, 8a.m. to 5p.m., and Saturday by appointment.